Fitness has done a lot for me throughout my life. The reason I started as a personal trainer was to help others enjoy the benefits fitness can bring. It goes well beyond losing a few pounds. It’s about changing lives. It’s about giving you the opportunity to experience life to its fullest. 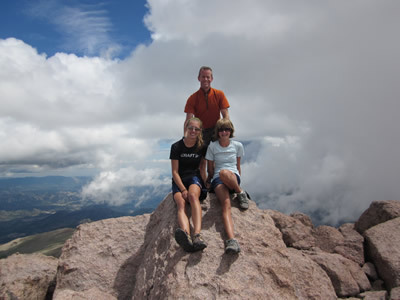 My daughters, Rachael and Sara, and I spent five days in Colorado’s Rocky Mountain National Park this summer. The highlight of the trip was a successful summit of Long’s Peak. At 14,259 feet, Long’s is the highest point between it’s location in Northern Colorado and the Arctic Circle. As one of the most coveted summits of Colorado’s 54 peaks over 14,000 feet, it has captivated me for 30 years. From my first visit in 1981 I knew that someday I would stand on top. The first opportunity came in 2004 with a successful attempt in winter conditions with my father. My daughters, after hearing my stories of the mountain, chose to make it their goal too. In January, we entered a contest through TRX Suspension Training to earn a sponsorship toward our goal of climbing the peak. We created and posted a video to You Tube and garnered over 10,000 views to win the award. Upon winning, my daughters leaped into action to organize the entire trip and train for a difficult attempt. They planned the entire trip, including travel arrangements, car rental, hotel, campsite locations, and developing a gear list. My role was to help them prepare physically and guide them to the summit. They impressed me with their commitment to the goal. The process leading up to the expedition and including the actual climb, taught them a lot about themselves and their capabilities. It helped me see them not only as my kids, watching for their safety, but as capable and strong young women with the ability to do amazing things and persevere through adversity. They came off the mountain feeling invincible, a feeling I know they’ll carry throughout the rest of their lives. As we were returning from the summit, I began thinking of how fitness has made all of this possible for us. Without it we would never have experienced the glow of the rising sun on the mountain’s East face, the breathtaking view of Glacier Gorge as we pass through the Keyhole, our route’s signature face, and the exhilaration of standing on the summit. Most importantly, we had the endurance to make it back to our camp safely despite a sudden sleet storm. You might not aspire to climb a mountain, but I’d bet that you’d like to live your life to its fullest. It’s never too late to start. We met people from ages 7 to 75 on the climb, some with the summit as their goal and others just planning to reach their own personal high point. What can fitness do for you? They stare at you from that magazine in the check out line. They mock you on that TV commercial for the hottest home exercise program around. Even the mannequins at Target have them. And then there’s the rest of the world. In search of your own six pack, you spend time on the floor doing endless reps and sets of sit ups and crunches from every direction. 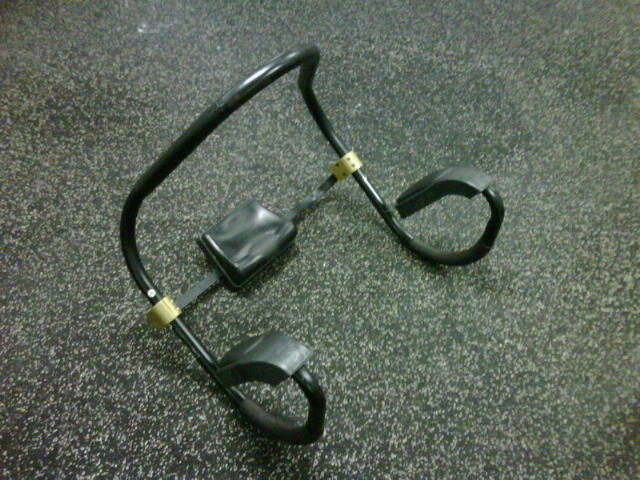 You may have even purchased the Ab Roller, Ab Doer, Ab Rocket, Ab Lounge, or some other ab contraption. How’s that working for you? Let me tell you a secret. We all have six pack abs. They’re just harder to find on some people. Read on because I’m about to help you find yours. Here’s another secret. The answer doesn’t lie in all those contraptions. Even the pieces of abdominal equipment alone at the gym won’t bring out the six pack. One of the biggest myths in fitness is that of spot reduction. To be blunt, the idea that you can work a specific area of the body with a specific exercise and melt the body fat in that area isn’t true. Now that it’s out in the open, how do you bring out the washboard in you? First, abs are made in the kitchen. Eat better, move more. Notice I didn’t just say to eat less, although for many people that’s really important too. Instead, you need to eat enough of the right stuff to keep your body fueled, but not so little that your body thinks it’s starving. The mistake many people on a weight loss journey make is to rely solely on diet and slash their calorie intake to the point your body begins storing energy as fat instead of using it to perform daily functions. When that happens, your metabolism slows, you lose energy, and eventually run out of gas. If you give your car less fuel than it needs what happens? If you give your car cheap low octane gas, what happens. Right, sluggish performance. Your body runs the same way. Fuel your body with enough quality proteins for muscle growth and rebuilding, carbohydrate for energy, and fats for vitamin transport and hormone production, and you’ll be heading in the right direction. Next, get the big muscles moving to burn more calories. Let’s go back to the car example. Which uses more fuel: Hummer or a Honda Civic? It takes more fuel to move the big car, so use the same principle with your exercise program. Bicep curls or squats? One exercise uses the little tiny muscles in your arm a nd the other uese the calorie-hogging muscles like the glutes and hamstrings. Those big muscles will bun more calories during the exercise and they have to work harder to recover after the exercise to rebuild. More work equals more calories used. Now, back to the washboard stomach. With the elimination of the myth of spot reduction we know that sit-ups and crunches aren’t going to do the job. The key is to get rid of the body fat to see that six pack hidden in all of us and the best way to do that is to use more calories. To get you started, here’s a short video showing a four exercise full body complex. If you need more help, I know a good trainer for you. Is your warm up outdated? High school gym class taught you that warming up meant a few short stretches before a rousing game of dodgeball or a rope climbing session. If you’re still using that warm up before your workout, or like most people you have no warm up, today’s column will give you a few ideas to make you think twice about skipping the warm up. A proper warm up prepares the body for exercise and helps prevent injury, while making your workout more effective. The most beneficial warm ups activate the muscles you’ll be using during your program through their full range of motion by simulating the exercises that you’ll be performing during the workout. For example, if you’ll be doing loaded squats, warm up by performing body weight squats. If you’ll be bench pressing, start with some push ups. I’ve included a video showing examples of a few dynamic warm up exercises to get you thinking. All this doesn’t mean you should throw out all of your static stretches though. Instead, perform the static stretches at the end of your workout to lessen tightness after your session. However, this is a recommendation and not a rule as static stretching before exercise has great value if you’ve got some specific areas of tightness that prevent you from moving through a full range of motion. In this case, stretch out or foam roll those muscles to loosen them up and then perform a dynamic warm up.